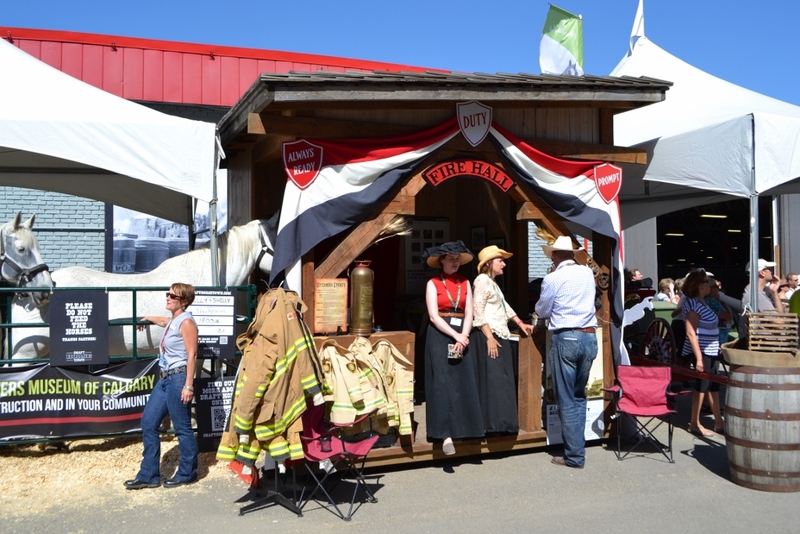 Last week during Stampede I happened upon the temporary Firefighter’s Museum display near the newly opened Agricultural Building (or whatever it is now called). If it wasn’t for a conversation that I had with one of the ladies connected to the Chinook Guild of Fibre Artists earlier in the day, and a couple percheron horses that were enjoying the sunshine, which distracted me (apparently ADHD was a factor that day as I had somewhere else to go that afternoon). I probably would have walked on by and not even known that the museum was temporarily located there, for ten days, between the two buildings (see photo above). I had a very nice visit with one of the staff members and I am sure that I will be back once they have settled into their new home. Like lots of new developments in Calgary the new site for the museum is currently under construction. They are scheduled to open their doors to a new museum in 2015. 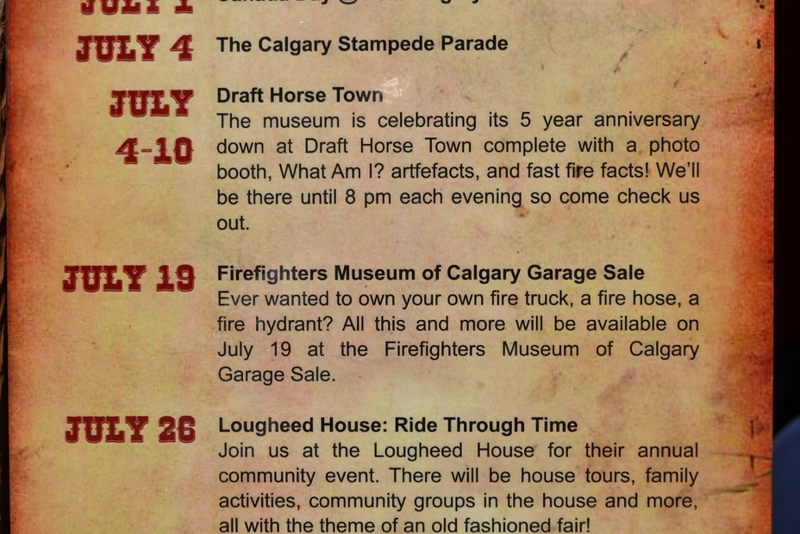 The reason for this post is to let people know that the Firefighter’s Museum is hosting a garage sale – tomorrow (Saturday, July 19). 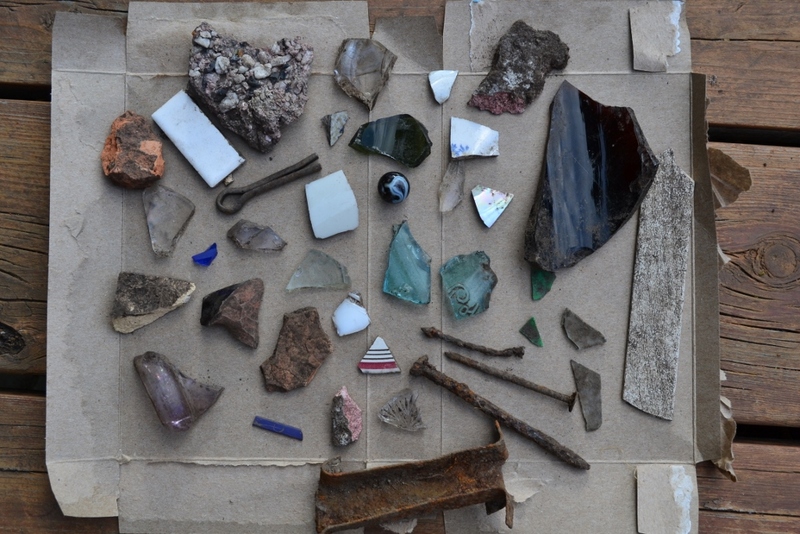 Notable amongst these items are a fire truck, a fire hose and a fire hydrant as disclosed in the photo below. The boy that is still very much alive in me thinks that it would be amazing to own any of these items. Could you image how awesome it would be to cruise the streets in a vintage fire truck, pull up at a red light beside a Ferrari, Maserati or a Lotus and gun the engine with the racing face on!! Even if we got left in the dust. Unfortunately, there is no indication where the garage sale is to take place on the Firefighter’s Museum website. However, it would appear that the folks at the Museum were actually on the ball about this. They let the people know at Swerve (the magazine included in today’s Calgary Herald) know. As seen here on the Swerve site, there is even a handy-dandy map to show you how to get there. Or you can take my general directions, which is to say it is somewhere in the area around the Silver Dollar Action Centre, between Blackfoot and Ogden Road around 42 Avenue. The funds raised will help the Museum in its operations, so I am sure they would also be happy to accept a straight donation as well. If you want to read more about what the museum does, read their blog here.